Back at the end of July, I shot my last ever wedding “triple header”, and the third and last of these took me back to a couple of old “haunts” for Karyn & Mau’s big day…namely St. Alexander’s Church in Denny for the ceremony and then up to Dunblane Hydro for the reception. Mau is from Mexico and it was great to see a couple of nice little touches such as the Mexican flag flying high outside the Hydro and the tequila slammers for all the guests, that rounded off the speeches :-). The guys met, if I recall correctly, working at Disneyland in Florida and carried the Disney theme through to the wedding day…who knows, perhaps we can even build a customised wedding album with the famous Disney logo on the cover to round things off nicely. Karyn & Mau, a big thank you for choosing me to shoot your fantastic day. Here’s just a few of my own favourites which I hope you like – click on any image to enlarge. Cast of Thousands…or a few people who made the day possible at least! 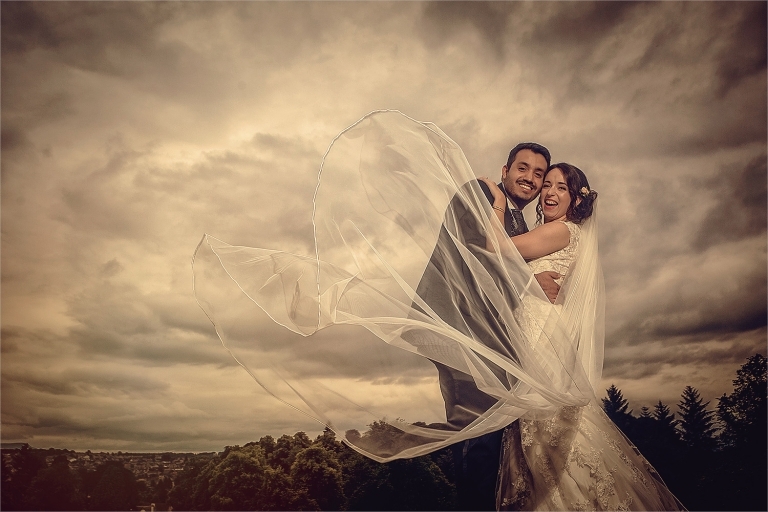 Looking for wedding photography at Dunblane Hydro…or anywhere else for that matter?